I can’t stand waste… in all facets of life, but particularly food. I can usually find ways to use up leaves and stems (of broccoli and cauliflower for example) but the one plant I struggle with is celery. You see, I’m definitely not the kind of person who buys the stalks pre-cut and packaged from shops: if it’s not the whole head, I won’t touch it. And FYI, it has to be organic because celery is one of those plants that too readily absorbs and holds toxic substances (like pesticides… here’s a link to the current (American) “Dirty Dozen”). 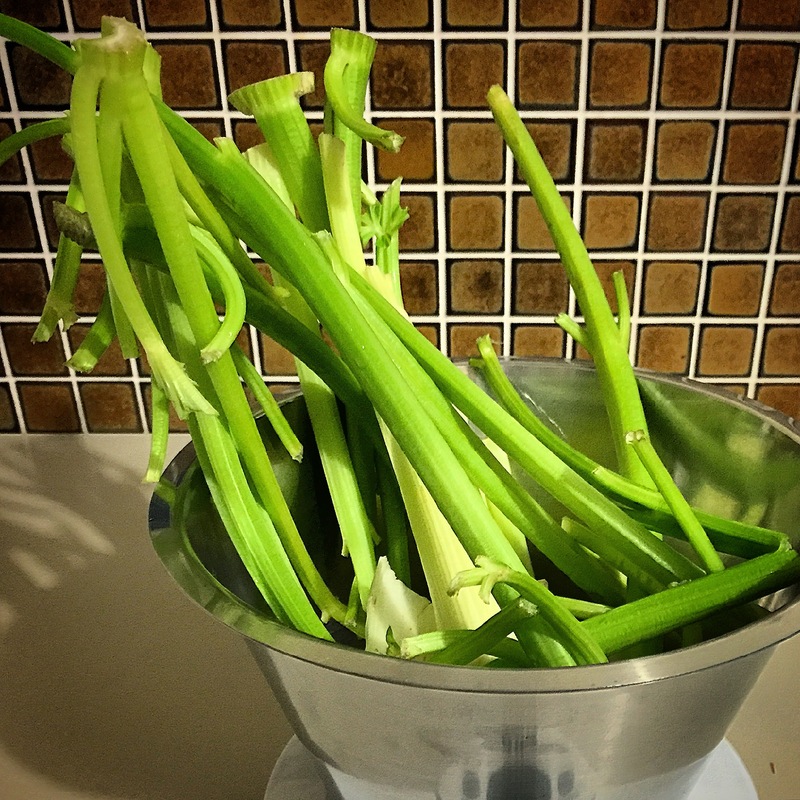 Since the vast majority of recipes ask for only the stalks, more than half of a whole bunch of celery can go to waste. 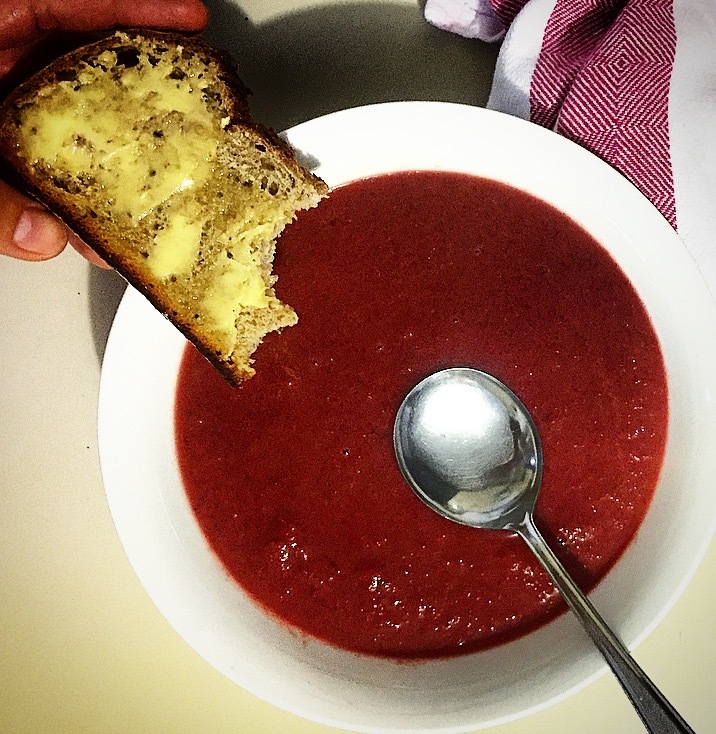 Apart from veggie stock, there seem to be very, very few recipes on the net that help you to use up the whole plant (I’m trying to grow my own so that I may be able to harvest it directly as I need it in future) but I finally found a simple soup recipe that is now my Go-To. 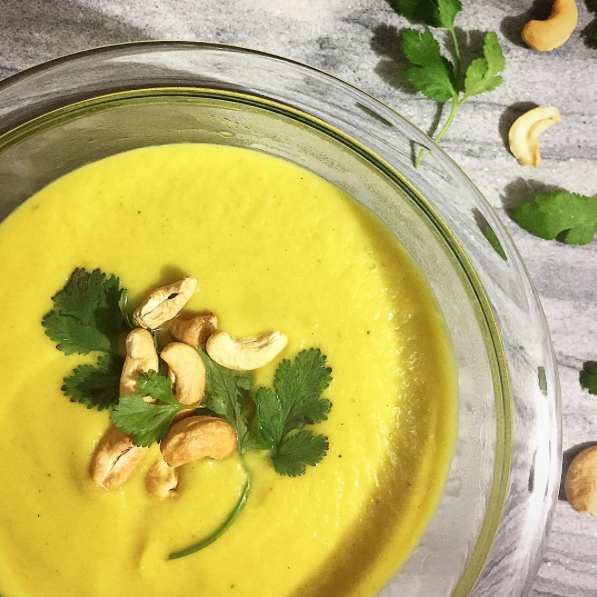 I’m not usually one for creating dishes with minimal veggies but because celery’s so good for you (super high fibre and water content – your liver loves it – and super low calories, for those who care) and this recipe is so easy, I figure it’s acceptable to chug down a lot of this (surprisingly tasty) soup. NB: it doesn’t actually include the leaves (they do tend to be bitter) but I’ll sometimes throw some in. I’m providing directions for both manual cooks and Thermomixers, but manual cooks take note: celery fibre is tough to break down so you’ll have to blend more thoroughly at the end …please take great care with the hot liquid. 300gm worth of celery offcuts. Quarter the onion and add it to the bowl with the garlic clove/s, blending for 5 seconds at Speed 5. 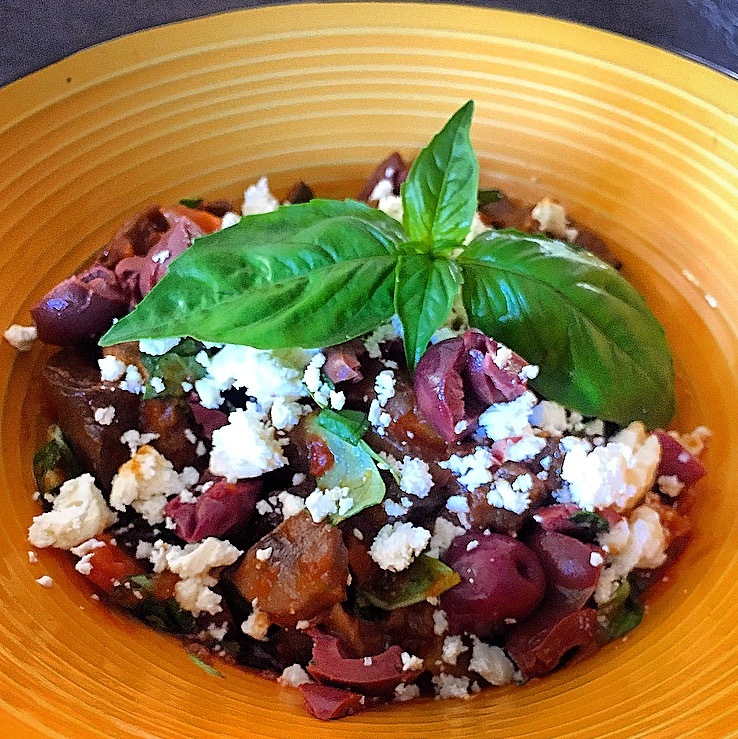 Add the EVOO and cook for 3½minutes at Varoma temp on Speed 1. Add the roughly chopped celery, further breaking them down for 5 seconds at Speed 5, then add your choice of stock. Set to cook for 17 minutes Varoma temp, Speed 1. Finally, blend for 60 seconds at Speed 9-10 (increasing speed slowly, for caution) and serve immediately. Add roughly chopped celery* and stock and bring to a boil. Cover and reduce to simmer for 10-12 minutes. Blend thoroughly (in batches if necessary) and serve immediately. I love one pot recipes …they’re (usually) ridiculously easy and best of all, there’s minimal cleaning up! Being pushed for time to cook my evening meal this afternoon, there was an even better reason to take this ‘short cut’. 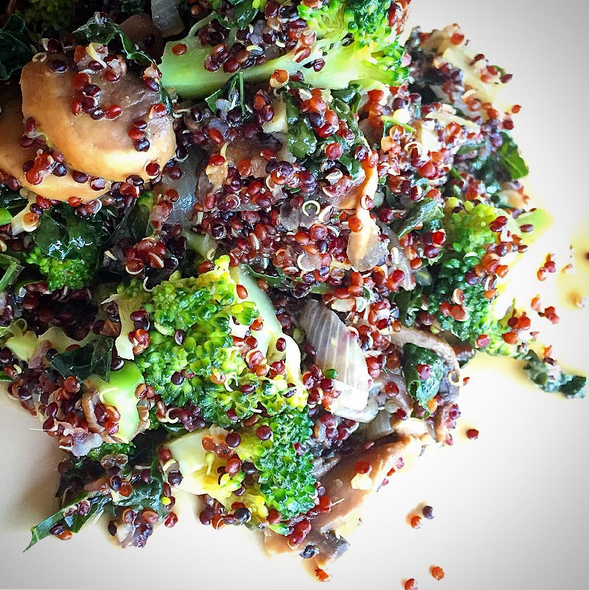 Since my kale plant was in need of harvesting I searched for kale recipes, with quinoa. I was pretty lucky to come across a vegan recipe that included broccoli as well, first go. But because the recipe asked for cauliflower – which I didn’t have – I was going to have to make some changes. What a surprise! While it easily satisfied me for a main meal, I reckon it would work well as a side dish, if you’re looking for something substantial (or ‘hearty’). Warm the EVOO in a large saucepan, over a medium heat. Add the onion and garlic and cook for 2-3 minutes. Mix in the curry powder or paste next and cook for another minute, until fragrant. Finally add the mushrooms and cook for another 2-3 minutes. Pop the quinoa into the mix and stir well to coat, then add the stock. Bring it to a boil then drop the heat immediately back to a medium temperature. Let it simmer away (occasionally stirring to prevent anything sticking to the base of the pan) for 13-15 minutes. 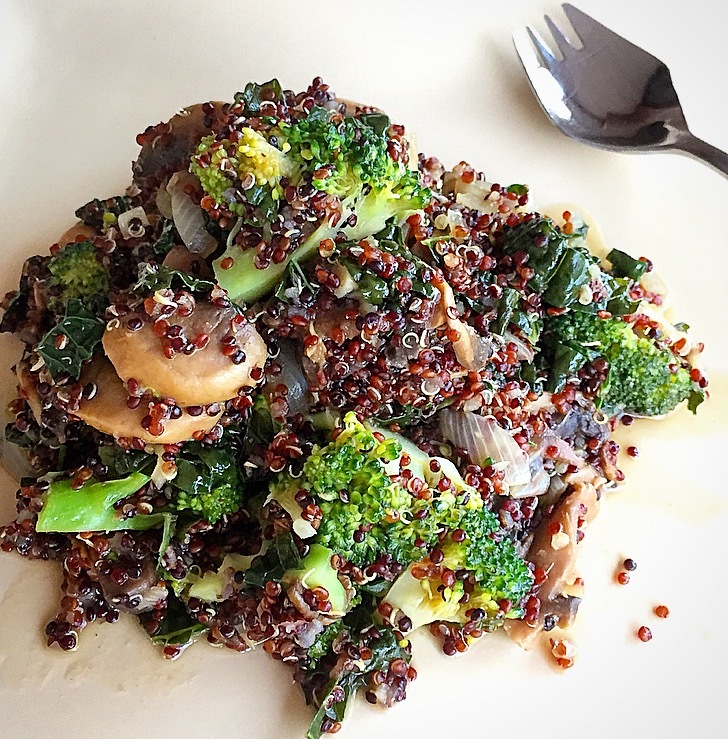 Mix in the broccoli and kale, then cover and cook for a further 2-3 minutes. Remove the cover to steam off any excess liquid if necessary (stirring occasionally) otherwise, serve it right up immediately and enjoy! I have to admit, I didn’t find the curry flavour very strong at all so I had no qualms about sprinkling some nutritional yeast over the top… To. Die. For! I’ve got a ‘thing’ for black beans lately. 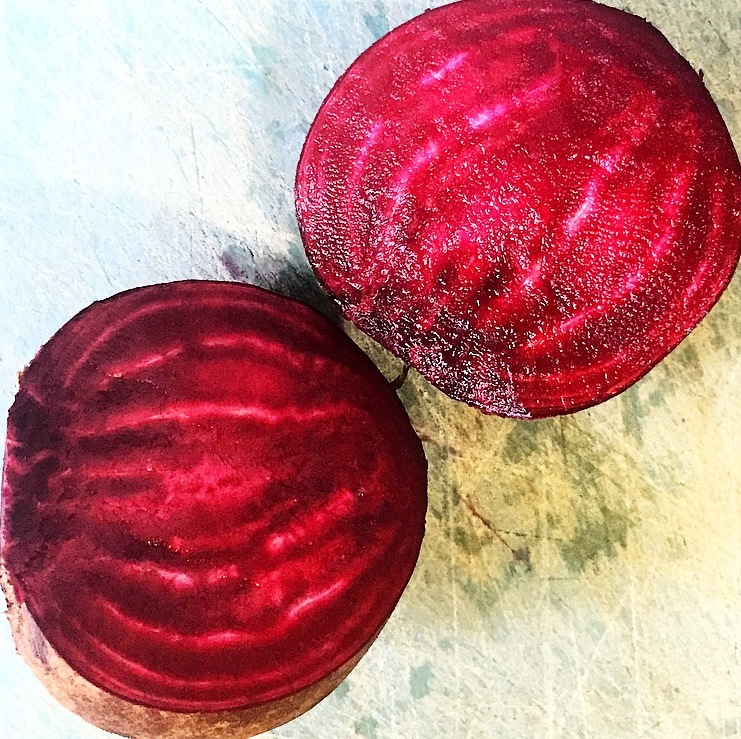 Maybe it’s simply because they seem to be in vogue at the moment, but what I keep thinking of is their colour: it’s almost a nutritional fact that the richest, deepest coloured plant foods seem to be the most nutrient dense. 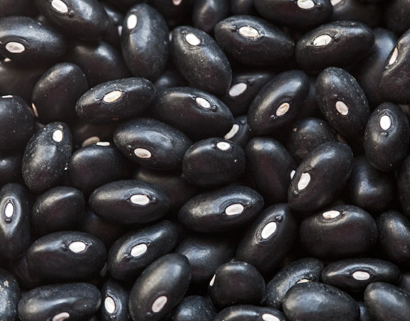 Also known as turtle beans, they’re a ridiculously good source of protein, fibre, some vitamins & minerals. So I have a very large jar of them in my pantry. Because I don’t buy tinned products, I don’t even know if you can get these fellas pre-cooked in Australian supermarkets; I mean, I’ve never looked. I prefer to DIY. Y’know, prepare ‘from scratch’. Because they’re a relatively new to my repertoire, I’m not quite sure what to do with them. Mexican predominantly comes to mind when I’m pondering what to make, but I often just throw them into salads as well. This time however, I wanted warm comfort food …and quinoa. 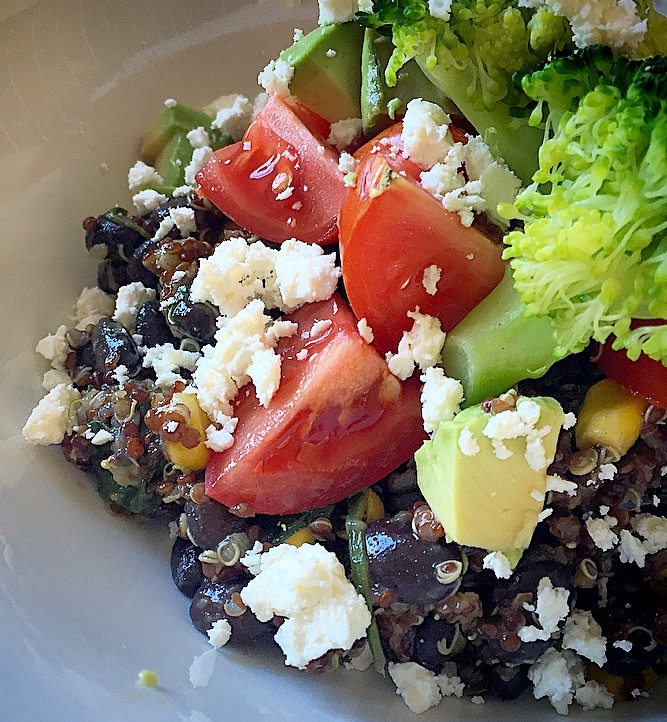 I’d noticed a few black-bean-and-quinoa recipes floating around the net in the past, so I was confident I’d find something I wanted. And I did: three recipes, all quite similar… so I literally flipped between windows/tabs during the cook. Having previously soaked, then slow cooked (overnight) the black beans, they were now ready to go. (Unfortunately I can’t recall the dry weight I began with, however I was lucky enough to have the exact quantity required for the recipe(s!) ….250gms. This makes an absolute tonne, so as a single person I got about 4-5 meals out of it… and it tastes great cold so you don’t need to reheat it every time you want some. I should imagine it would freeze well too if you’d prefer to do that. 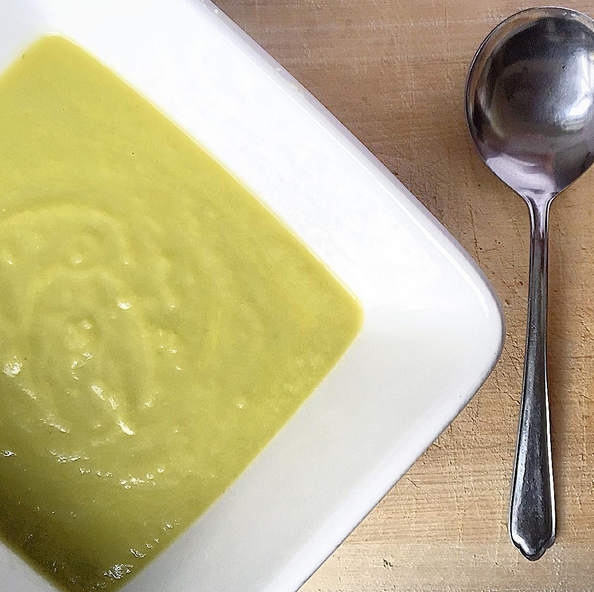 a good dollop of EVOO, 1 diced onion, 1-2 finely chopped garlic cloves, ¾ cup (well) rinsed quinoa, 1 teaspoon cumin, ½ teaspoon chili powder, 1½ cups vege stock, black pepper & salt to taste, corn kernels (I used frozen) 250gm pre-soaked & cooked black beans, 200gm baby spinach. In a large saucepan (over medium heat) add the oil then the onion and garlic, cooking for about 3 minutes or until the onion softens. Add the quinoa, blending with the oil, onion & garlic, then add the cumin, chili powder, vegetable stock and black pepper. Give it a mix, increase the heat and once it has come to a boil, drop the heat back to low, pop on the lid and let it simmer for 20 minutes. Give it an occasional stir (mainly to loosen anything sticking to the saucepan base). Finally, add the corn, beans and baby spinach, stirring gently then covering again for about 5-10 minutes …however long it takes to warm the beans, wilt the spinach and thaw the corn (if using frozen, like me). With Winter smacking us in the face this week, I felt the need for a nice thick, warming stew. But having had (what I considered to be) too much meat for some days prior, I wanted something plant-based… that would satisfy me. 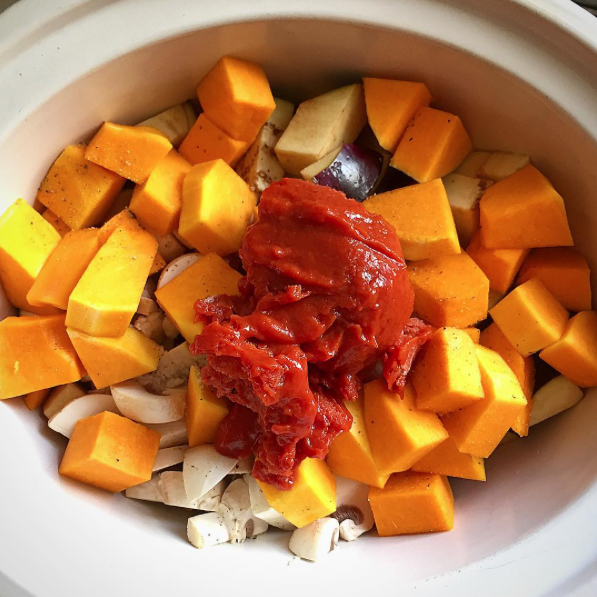 Knowing how damned good legumes are for us (very high fibre and plant-based protein) and having a bag of mushrooms in the fridge that I knew needed to be used up, I began the search for a recipe but as usual, nothing I found comprised a vast array of veggies. 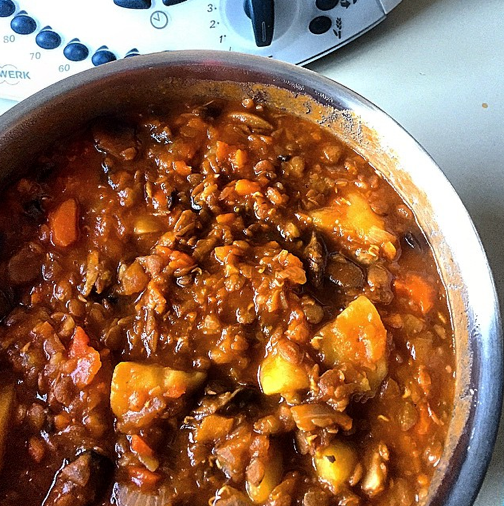 So, true to form, I ended up adapting; fusing two different recipes together: one Thermomix Lentil & Veg Stew with a Mushroom & Lentil Bolognaise recipe on taste.com.au. While I chose to make this using my Thermomix, it could be easily replicated by non-Thermie cooks because it’s a one-pot recipe. But a word of warning to Thermomix users: the quantities I used brought the bowl contents right up to the maximum (2 litres) so if you’re a little reticent, perhaps halve the quantities. It will still result in a decent amount of stew. Thermomixers: Add the onion (quartered) garlic cloves, roughly chopped carrot and celery to the bowl and chop for 5 seconds @ Speed 5. Scrape down sides then cook for 3mins @ 100ºC on reverse Speed 1. Meanwhile, dice the potatoes and roughly chop the mushrooms. Scrape down the sides of the bowl, add the potatoes, mushrooms, lentils, stock paste, water, bay leaves and passata (or tomatoes). Stir gently before locking the lid in place and cooking for 45 minutes @ 100ºC on reverse Speed ‘Stir’, with the MC off and the basket (or a light dishcloth draped) over the top to catch splatters. Stovetop Cooks: Finely chop the onion, garlic, carrot and celery, then warm the olive oil in a large saucepan over a medium heat. Add the veg and cook for 3-5 minutes (until onion has softened) stirring occasionally while you dice the potatoes & roughly chop the mushrooms. Add the potatoes, mushrooms, lentils, stock, bay leaves and passata (or tomatoes) to the saucepan and bring to a gentle boil before reducing to a simmer, partially covered for approximately 40 minutes.